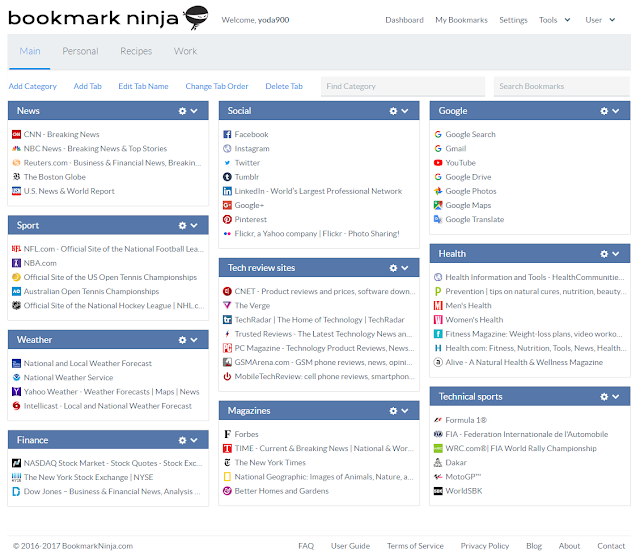 Many users requested to have the favicons of the bookmarks to be displayed on the Dashboard. 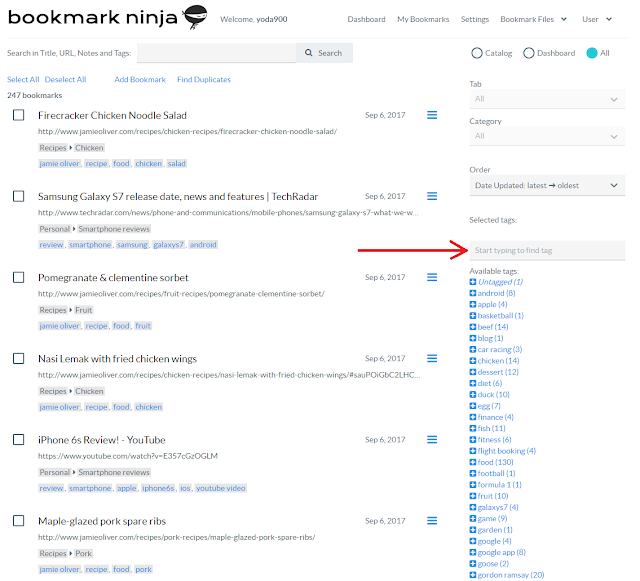 The small icons can help to visually find the bookmarks faster. 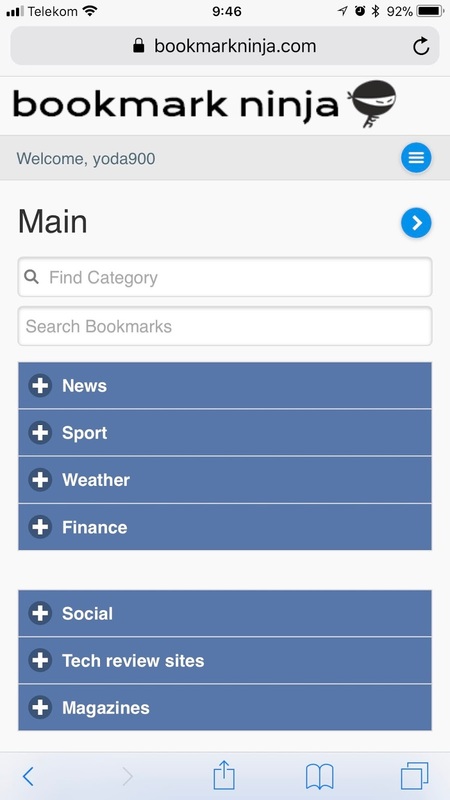 This improvement on the Dashboard is available on both desktop and mobile devices. 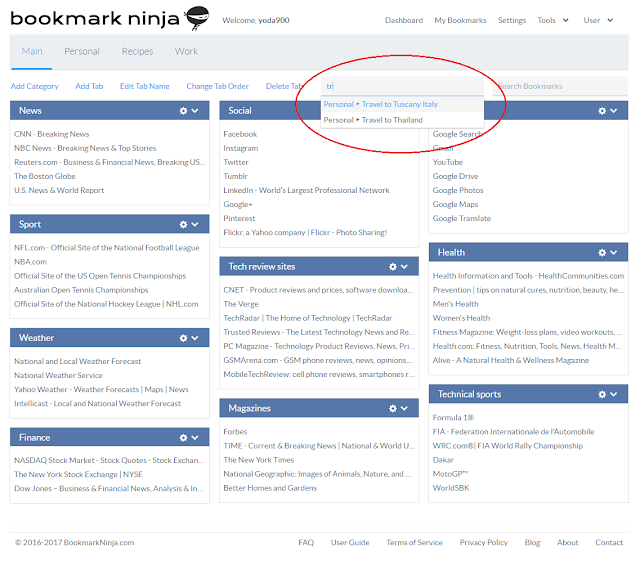 If you still want to use the Dashboard without the favicons, you can turn it off on the Settings page, simply uncheck the "Show favicons of bookmarks" checkbox. 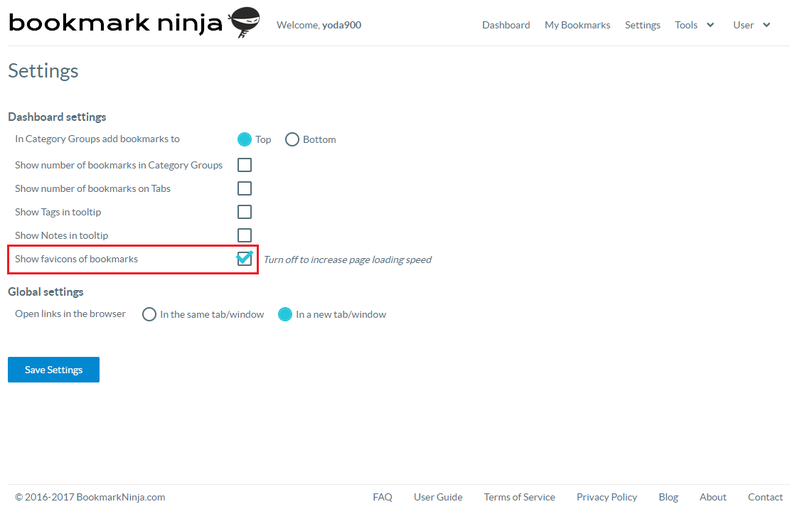 It is also recommended to turn off the display of the favicons if you have many bookmarks on a Tab and want to improve the loading speed of the Dashboard. Start typing the name of the Category in the "Find Category" text field. As you are typing (after 2 characters) a suggestion list will show up with the Categories whose names start with the characters you typed. 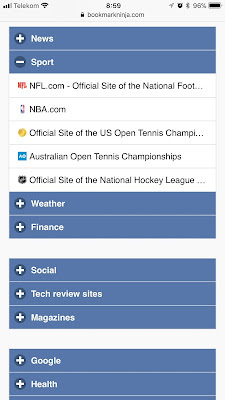 Select the Category you are searching for (either with a mouse click or with pressing Enter). 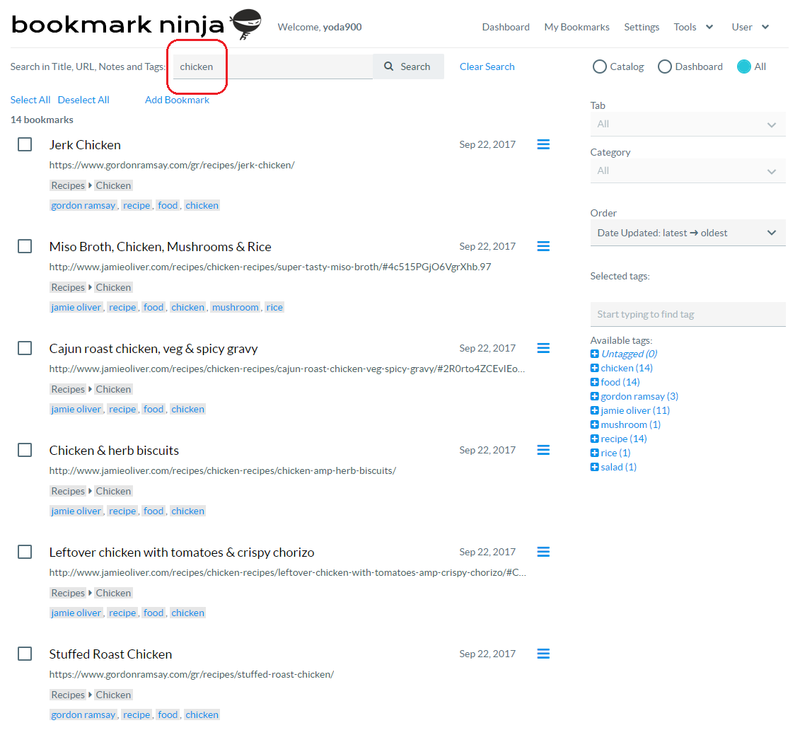 The Category's Tab will be loaded, the browser window will be scrolled to the Category, and the Category will be marked with a thin red border. The other feature is rather an improvement. 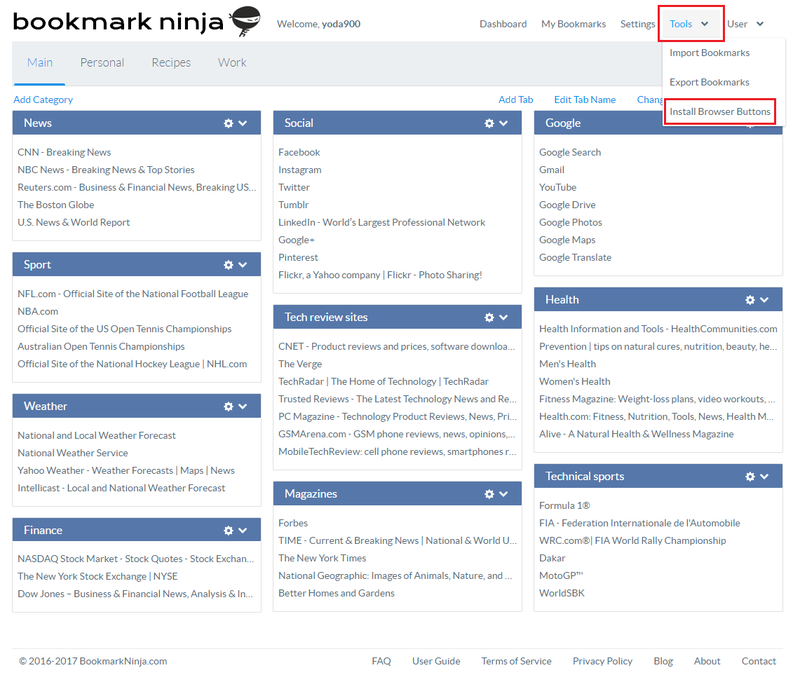 From now you can also start a bookmark search from the Dashboard not just from the My Bookmarks page. 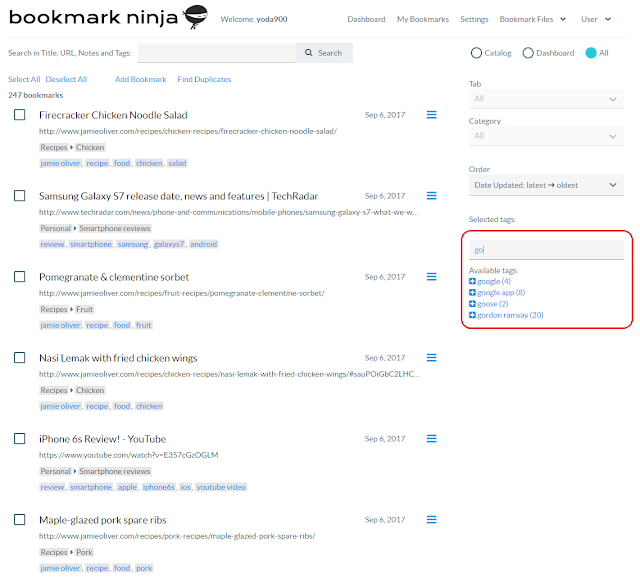 Enter any text in the "Search Bookmarks" field then press Enter. The My Bookmarks page will be loaded with the search results. 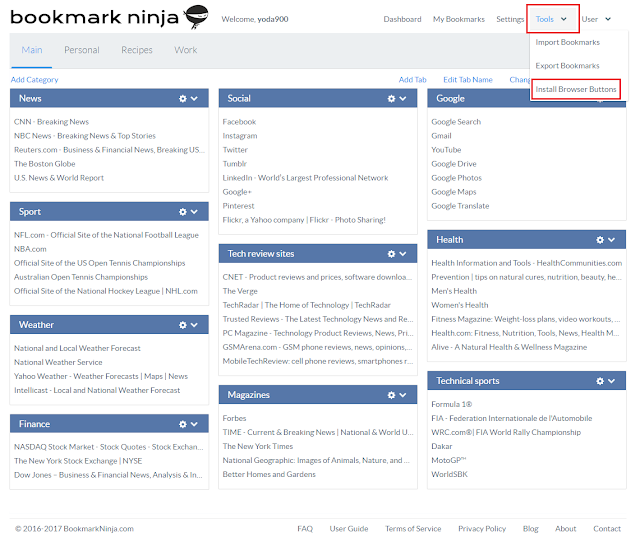 It works the same when you start a search from the My Bookmarks page. 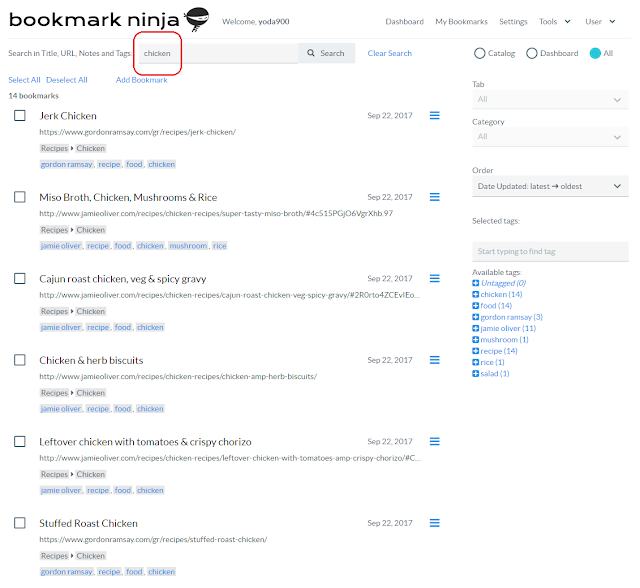 It searches in the title, URL, tags and notes of the bookmarks. The Bookmark Files menu in the main Ninja menu has been renamed to Tools. 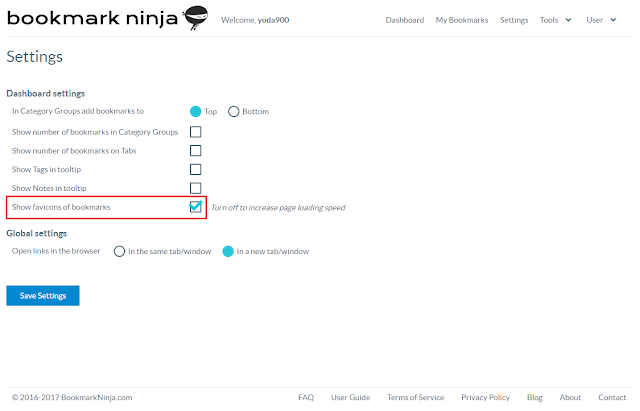 The Install Browser Buttons menu item has been moved from the footer to under the Tools menu. 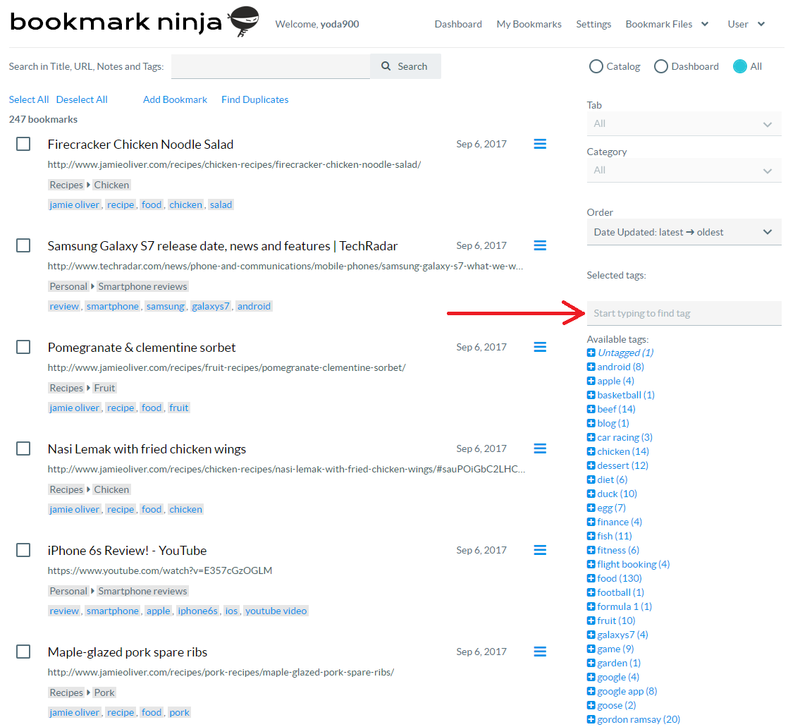 If you have a long tag list on the My Bookmarks page then it's not easy to find and select a tag, you have to scroll through the whole list. 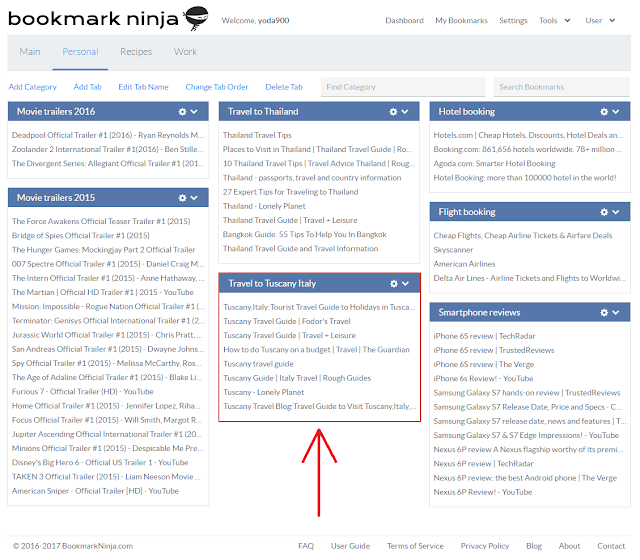 From now you can find a tag pretty quickly by starting typing the name of the tag in the text box just above the "Available tags" list. Tags will be filtered, only tags starting with the characters you typed will be displayed. 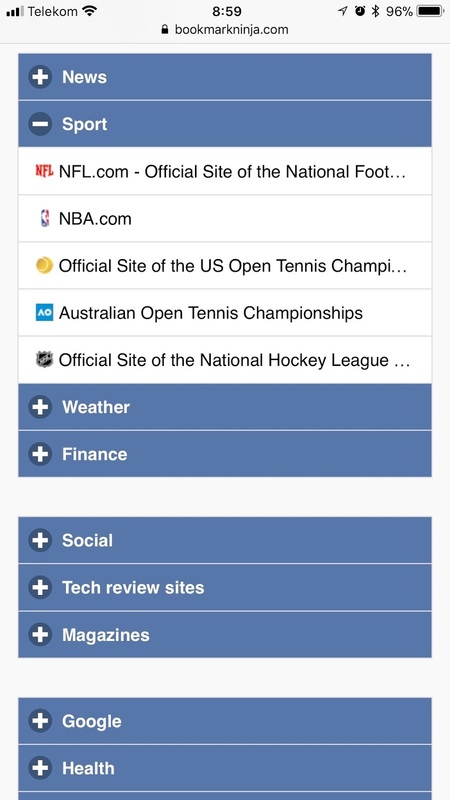 This improvement is available on both desktop and mobile.